Use the options in this tab for shipping and delivery options. If the contact has a default shipping address saved on their profile, it will appear in the address field below. Additionally, the option can be checked or unchecked depending on whether the current invoice will be shipped to this address. Or, add a shipping address for a one-time occurrence. 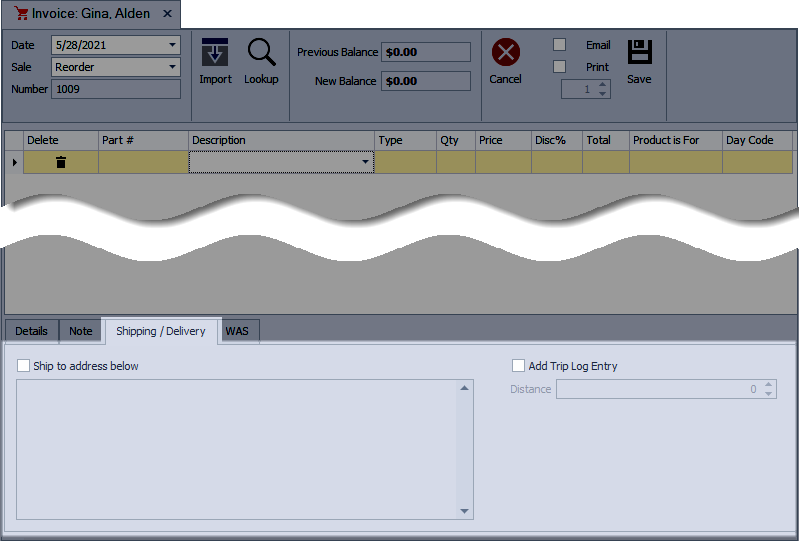 Add a Trip Log entry will create an entry in the Trip Log automatically from the current invoice. Check the box, and then enter the delivery distance in the Distance field. If the contact has a default distance value saved on their profile the distance will already be entered.